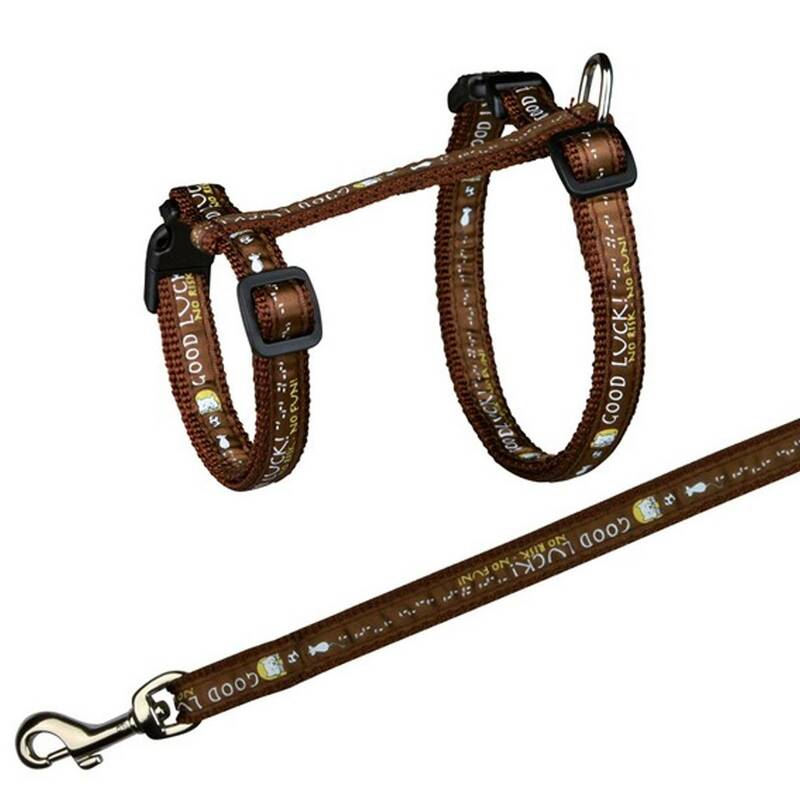 This Cat Harness with Lead is made from durable nylon and is available in a variety of colours. 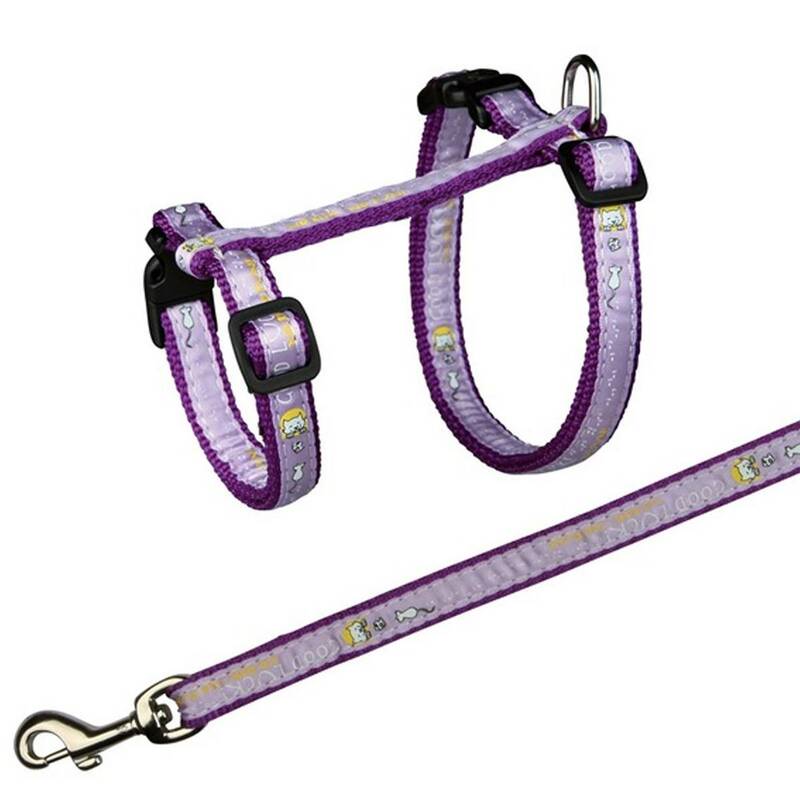 The harness is designed to be extra comfortable on your feline friend, by being fully adjustable and with snap buckles to allow for quick putting on and taking off. It features a stylish "Good Luck" motif. Suitable for large cats. Available in lilac, brown or red. Please message with colour preference otherwise random colours will be sent.